My parents used to take me to this Cal-Mex restaurant in Willow Glen called Aqui's. It was our go-to place for quick, fresh, delicious Mexican food with a twist. They had this amazing salsa bar filled with different flavors like roasted tomato, mango habanero, traditional tomatillo, and those spicy pickled vegetables that made my mouth burn. Perhaps my favorite thing about this place, however, was ordering an agua fresca. Flavors like strawberry mango, mint lime, and orange melon were featured on the Specials chalk board and I always struggled to choose between the two flavors of the day. I never really knew what the drink was other than a fruity and refreshing drink that I loved more than soda (I never was much of a soda kid). So it's years later when I found myself staring at a 5 pound watermelon and a boyfriend who doesn't like watermelon that I decided to see what else I could do with the fruit. Agua fresca came to mind, and it turns out, it's super simple. And it's a great healthy and quick way to serve a bright and refreshing beverage during the summer. 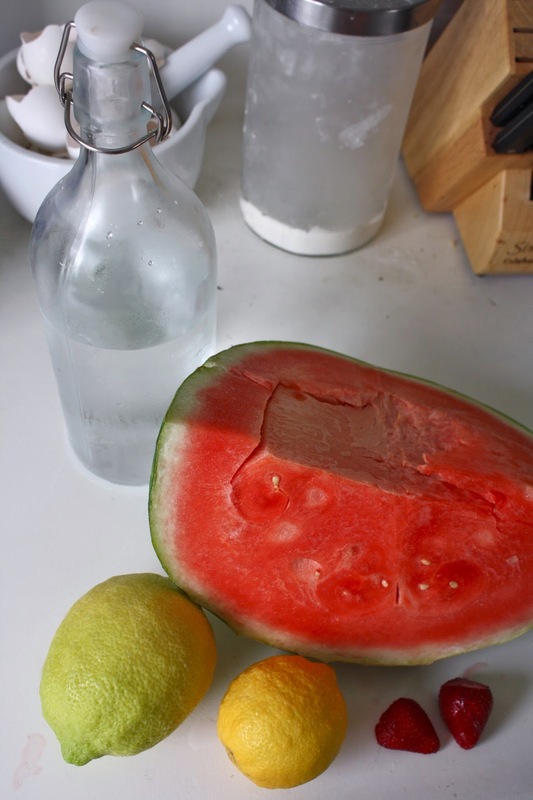 Chop up your watermelon into chunks that your blender can digest and fill almost to the top. Pour a few cups of drinking water into the blender and fill about halfway up. Cut your lemons in two and squeeze out the yummy tart juice and add to blender along with your cleaned and hulled strawberries. Place the lid on and blend until smooth! Taste your drink- if it's too tart, consider adding more watermelon or strawberries; too sweet, add more water to dilute it. 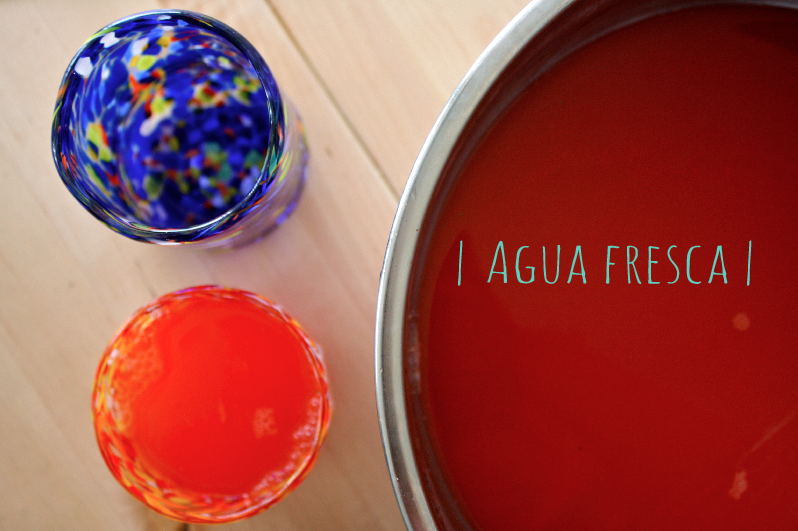 It's up to you if you'd like to strain your agua fresca or not. Chris didn't like the little bits of watermelon pulp, so I strained it for him, but I think one of the unique things about agua fresca is that you can taste all those bits of fruit and get the strawberry seeds stuck in your teeth. Once you've strained/not strained your mixture, place in the fridge to cool before serving. I can't wait to try this with other fruits too! I'm thinking maybe mango pineapple.